On Saturday, I took my little one to the Farmer's Market with my Mom. I try to eat mostly vegetarian (attempting vegan but it's just so hard to give up cheese). Getting fresh produce is extremely important for a vegetarian to get all of their nutrients and vitamins. I prefer to go to Farmer's Markets over shopping at the grocery store. Usually, you are buying local and it supports small businesses. 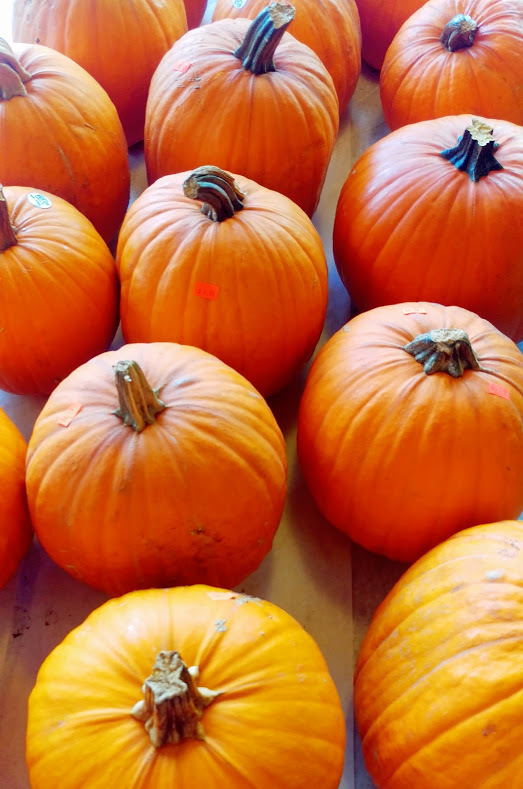 We found the cutest white pumpkins - which I'll be showing in a post on fall decor as I finish up my new apartment - among several other veggies and fruits. The weather has actually been cooler for us here in Texas in the mornings and evenings. 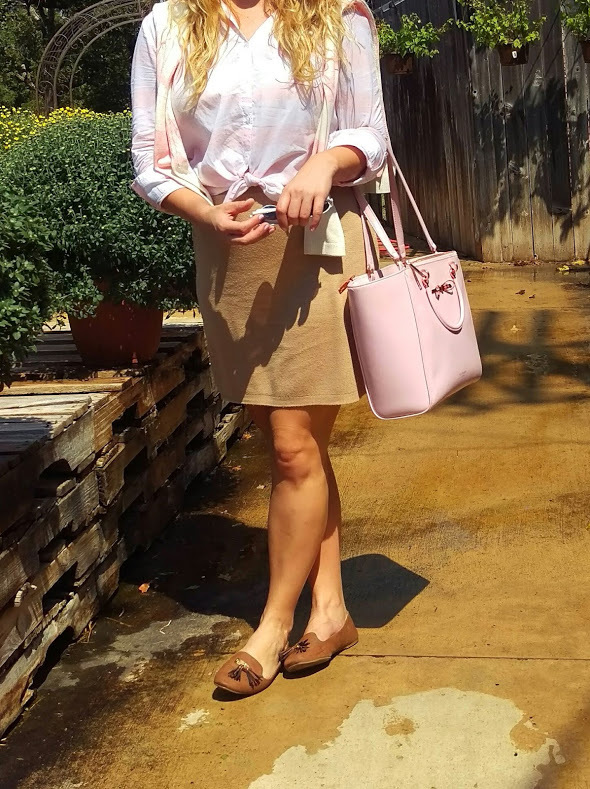 I decided to wear one of my favorite color combinations - camel and pink. I paired a pale pink and white striped sweater with a pink and white button up. Although the button up is from a few seasons ago, and I purchased the sweater at Kohl's on sale - I did find a few other options below. You've probably noticed these loafers before. I wore them for this post and this post. Loafers are a great alternative to a ballet flat. They are comfy and polished. They go great with work items or you can make them more casual. I happen to really love the tassel on these. I also wanted to point out I finally have my "Shop" feature at the header working properly. I'll be posting items about once a week - so check out some of my current picks!